At 25 years old, Elle Barrett resorted to escorting to provide for her son and unwell Grandmother. Struggling to pay bills and keep food on the table, she met Dean Wallace at the lowest point in her life. Little did she know that he would change her life completely. 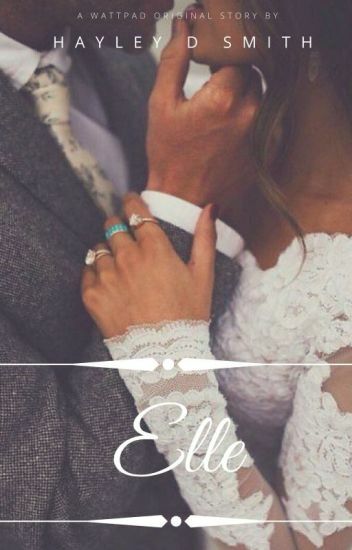 After attending an event with her client Dean, in which the two find themselves stuck in a lift, Elle's life takes a sudden and unexpected turn when he offers her a job. But will Dean be her saviour, or her undoing? Featured by Wattpad: 14th Dec 2017. Completed on: 17th Dec 2017. Highest Rank: #3 in Romance on March 2018. Running through the dark jungle she made sure to look back for any traces of anyone following her but then something big jumped over her and she stopped in her tracks as she took in deep breaths to calm down her racing heart from all that running. The brown wolf with a bloodied face and a torn ear looked back at her and snarled at her before it turned around and ran deeper into the woods out of her sight. She took a breath of relief as she thought the wild animal went away probably scared from her but then a low growl was heard from behind her as she grew alarmed and slowly turned around only to meet a wolf twice the size of the previous one, staring at her. The full story will be taken down on every  first of each month and will be available for five days in the end of each month. Means, book will be available on 27 to 1st. This is the first book in the 'New Girl' series! I'm not good at summaries so here is the disclaimer. Disclaimer: I don't own Glee or any songs, I only own the plot and my OC's. After a tragic car accident Melody Sarr is left to live her aunt, and her father hospitalised. Although 24 year old Melody has finished school and is now working she sticks to a simple schedule of going to work, the hospital to visit her father and straight home without fail. But Melody's story is about to change and be swapped for gunfights, car chases, nightclubs and more when she meets the and only Alexander Cingolani notorious mafia boss successor. "Tayla White" have been working at Carter Corp. An influential enterprise in the heart of New York and founded by the charismatic "Ryan Carter". When high school senior Caliah Porter returns to the small town of Green Grove after seven years of being away, all she cares about is forgetting. And they are both interested in seeing who is there when they fall. =Axel Taylor is the most beautiful man Tandie Ryder's ever laid eyes on. He's big, he's strong, and he's fast weakening her resolve. When Tandie first moves to Samford to live with her sisters, she doesn't know that her new life will be anything but boring, but could this mysterious boy be the one she's always been waiting for? They seem to have a connection, and she finds herself quickly becoming attached to him. But love doesn't mean safety, so when danger comes their way, will they be able to pull through? In a world unknown to man, there is a place called Dimicel. Each person who lives here controls one of the five elements- air, fire, earth, animal, and water. 300 years ago Dimicel was ravaged by war, but now is a thriving and successful civilization. From ages 11 to 18, every child must attend Dimicel's School for Elements, where students live during the school year and go home for the summer. Ramaya Naciat, an air element going into her fourth year of schooling, is expecting yet another boring, typical two semesters. She brings with her only a suitcase, her wits, and her strength (oh, and her little sister). The year unravels much differently than ones past, and Ramaya, her sister, and her friends will be tested, share laughs, shed tears, fall in love, and discover things hidden since times of war. It will be one unforgettable year. WARNING: this is a very raw piece of writing that combines four years of writing and many plot discrepancies. Read at your own risk, but the writing and plot does improve gradually. His first memories were of watching his father do business with his 'clients'. Zane's father is rich, powerful, and evil. Everything Zane is determined not to be. After watching his father murder an innocent couple, Zane leaves town to create a life of his own. When circumstances bring him home, he comes face to face with a victim he loved as a child. She remembers crouching in the empty pickle barrel in a cellar. Shouting. Her mother pleading for more time. Gun shots. Silence. Then men men began searching. Searching for her. "Find me that girl." Her nightmare growled. "I have plans for her." Loud suggestive laughter followed his statement. From that day forward, River began her life over. Working her job, paying her rent, and avoiding the advances of a man eager to catch her off guard. Life was lonely but it was predictable. Predictable meant safe. He's determined to win her heart. She will learn how to love. *This is a CLEAN HEA historical romance. Another file is missing and once again, Rikkard Ambrose, the richest financier of Britain and Ireland and his cross dressing secretary and fiery feminist, Lillian Linton are out to get it back from the enemy. However, this time the stakes are higher, secrets are no longer hidden and the war between the two rivals is going to get more dangerous than ever. Surrounded by suitors, spies and traitors, Lilly will have to confront Lord Dalgliesh, bring back the file, and give answers about her frequent trips to her staunch feminist friend Patsy while she is at it. But will Lilly be able to keep her feminist ideals safe while dealing with her feelings and manage to evade the enemy at the same time or will she be caught in the crossfire?